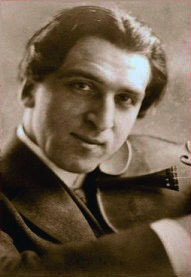 ‘ Violinissimo’ presents music associated with violinists-composers and violinists-transcribers. Over the years, this particular research focus allowed us to illustrate periods of the violin’s history and the influence of noteworthy violinists on their times. We invite you again to discover and enjoy the rich fabric of music in its ‘reconstituted’ context and the many coincidences that frequently connect creators and performers.